Everyone knows that a TED Talk can change your career, and even your entire life. It has the potential to turn you into a best selling author, a sought after speaker, or a global thought leader overnight. Did you know that you can create your own TED Talks? You can even use their brand? But despite a stellar lineup, the event lost money, and it was six years before Wurman and Marks tried again. This time, in 1990, the world was ready. The TED Conference became an annual event in Monterey, California, attracting a growing and influential audience from many different disciplines united by their curiosity and open-mindedness — and also by their shared discovery of an exciting secret. Today, TED is one of the world’s most watched conferences. Tickets cost thousands of dollars. The top thought leaders from every country attend. Only the biggest names in their industries get invited to speak. However, there is a way you can get invited to a TED event, even if you’re not world famous. TED allows Universities and other groups to hold a version of the TED conference locally. This is called TEDx. TEDx events are done just like TED events, but they are on a smaller, more local and intimate scale. They are held in cities across the country and around world. They feature thought leaders from their local regions. You may think that means these TEDx talks get less attention. Not only are they often featured on the TED website, but they are also some of the most popular TED talks worldwide. Simon Sinek, the famous author of many best selling business books, got his boost from a TEDx Talk that is now one of the most watched talks ever. In other words, doing a powerful TEDx Talk can boost your career just as much as speaking on the main TED stage. 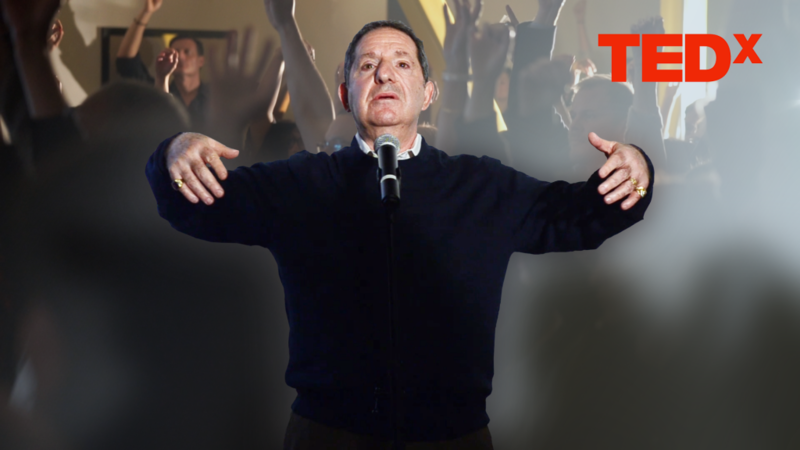 Are you ready for your TED Talk? Go to TED.com and find their list of local TEDx talks. Find the TEDx groups nearest to you. Take a look at their schedules and the themes of their upcoming events. You’ll need to apply 3-6 months before the scheduled talk if you want a chance to speak at that event. Send in your application with a well thought out message, and make sure you have a sample of yourself speaking at another event on video. In the next email we’ll talk about how to make this the best speech of your life. DO NOT MAKE THIS YOUR FIRST PUBLIC SPEECH! If you’ve never done a major speech in public before, don’t make the rookie mistake of trying to do an important event like TED first. Make sure you are always in stature and speaking infull Vocal Awareness. It’s always a smart idea to have a personal session with Arthur before you perform your final speech. If you can’t meet with Arthur, the Visceral Language course is the next best thing to help you prepare your TED Talk and get ready to be in front of millions of potential viewers. As Arthur says, you never get a second chance to make a first impression. This is one you need to get right. Vocal Awareness will make sure of it.